Our Sales Velocity Algorithm allows you to view the 30 day sales velocity (units sold) for any listing in your catalog and set a target to either raise, lower, or maintain your sales velocity. If your listing is brand new or has insufficient data to allow the algorithm to make an accurate prediction on price, the algorithm will automatically raise or lower your price to hit your target, making the process more accurate by generating new data. When should I use the Sales Velocity algorithm? Private and white label listings are perfect for this algorithm as it takes the guess work out of pricing. Simply specify your target sales velocity, and the algorithm will determine the best price for you. If you know you need to draw down inventory by a specified time, you can factor that in to your target velocity. If you're not sure what buyers are willing to pay for a product, this algorithm can help you determine that by adjusting your price up or down based on your velocity. When shouldn't I use the Sales Velocity algorithm? For listings with lots of competitors and frequent price changes, the Sales Velocity Algorithm may not react fast enough to optimize sales. In a scenario like this, we suggest our Get the Buy Box algorithm instead. 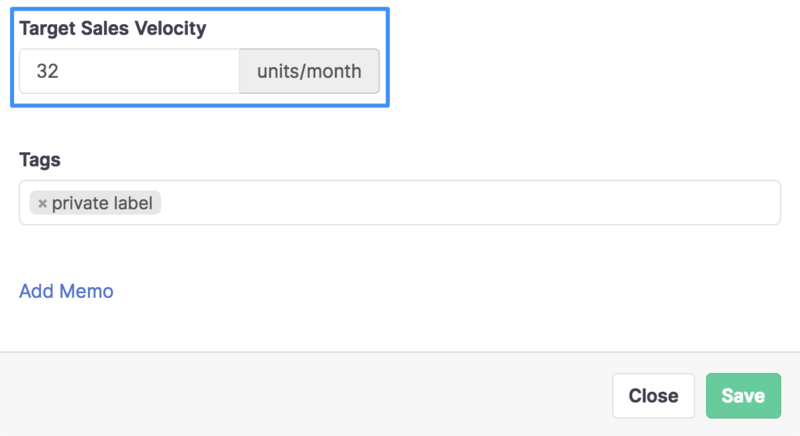 From your account's strategy page, choose the Sales Velocity option. The algorithm is easy to configure and there are no options on the strategy level other than setting your Min & Max. Individual target sales velocities are controlled at the listing level. On your listings page, you will see a column that specifies the current sales velocity (units sold in the last 30 days) for each of your listings. This column is accessible to all customers regardless of plan. When editing your listing, you have the option to specify a target sales velocity. Once you've set a target velocity, the algorithm will automatically begin sending daily price changes to hit or maintain your target. You can also choose to calculate your velocity by selecting "Calculate by date." When clicking this, a calendar will appear. You can then select a date in the future that you would like to sell out your current inventory by. 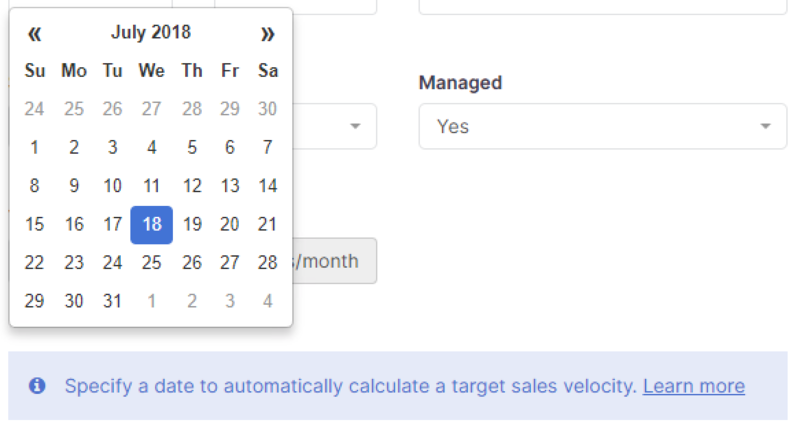 When you choose a date, the "Target Sales Velocity" field will automatically populate. The number will reflect how many you need to sell over a 30 day period to sell out by the date that you choose. IMPORTANT: If you replenish your inventory, the target sales velocity will not automatically change. It will still be calculated based on the inventory level you were at when you first selected the date you would like to sell out by. IMPORTANT: This algorithm is still in active development and is currently for Amazon only, though we do plan to add support for additional marketplaces in the future. Have any feedback? Please reach out to earlyaccess@informed.co to let us know!